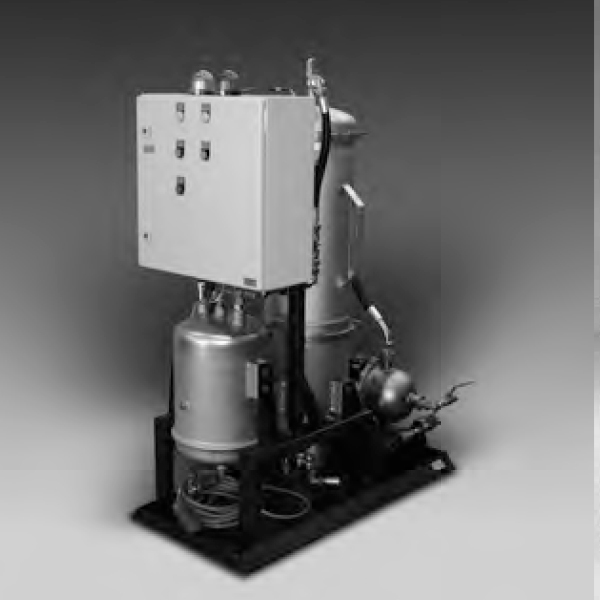 The OffLine Separator OLS is a dewatering unit. It serves for hydraulic oils, light gear oil and diesel fuels with densities of less than 950 kg/m3. The dewatering process works according to the coalescence principle. Therefore, it means that there is a combination of tiny water droplets with larger drops in the coalescing unit and they are separated from the oil by force of gravity. The installation of the OLS is offline, but can also serve as a transfer unit for diesel fuel, with an optional pre-filter.